I can hear the wind howling through the trees in the central gardens which means …..
Bike culture is exploding in cities like Portland, OR, New York, San Francisco, Chicago, Montreal, and Vancouver, BC. Whether people are riding folding bikes to the commuter train, slipping through traffic on streamlined single speeds, or carrying children and groceries on their cargo bikes, bicycles are making urban life more dynamic and enjoyable — simply better. 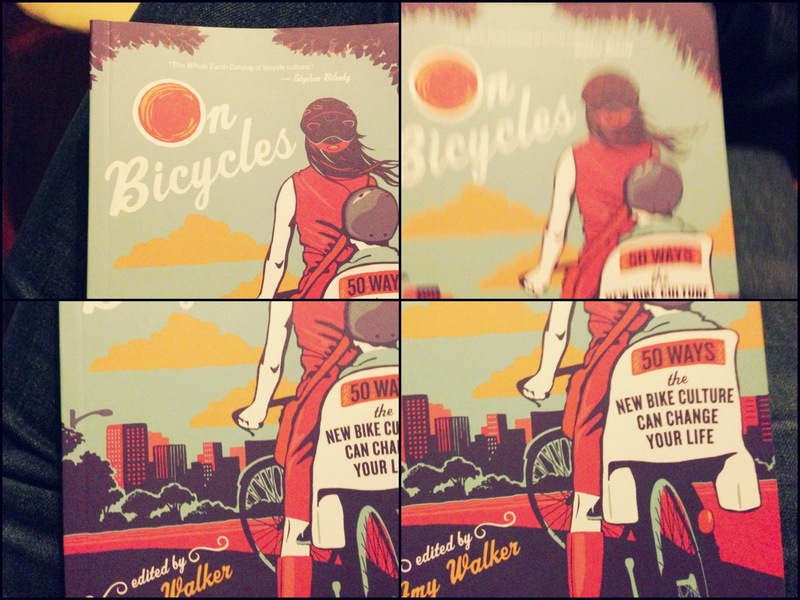 Amy Walker has been at the forefront of this trend as cofounder ofMomentum magazine, which chronicles and inspires urban bike culture and transportation cycling. In On Bicycles, she gathers a wide-ranging group of cycling writers to explore the ways that biking can change, and is changing, people’s lives. From utility bikes that are becoming the primary mode of transportation for entire families to the artistic creations of freakbike riders, On Bicycles has something for everyone who has ever ridden a bike.